What? They are NOT returning your calls??? Just read a great article about Cold Calling ( one of my favorite pass-times….either by phone or my very favorite in person ) and the lack of response by Kelley Robertson….and I wanted to share a brief recap of it….as it is very good food for thought…. If they are NOT calling you back or taking your call…look to these six possible reason and analyze your approach….and of course take ACTION and PRACTICE to improve it! 1) Your voice mail is TOO long for ANYONE to really listen to….Real decision makers are BUSY…make it 15 seconds or less plus your call back info….total 30 seconds….REPEAT your call back info slowly…. 2) Your message is too cryptic! ( or the reverse… to short and terse ) Add DETAILS…but remind yourself of # 1 above! 3) You leave the same voice mail message each time? Really? You are selling your “creative services” and you can’t come up with a different email? Have multiples and leave variations…..
4) You sound like everyone else? Be CREATIVE…they get dozens of messages a day…make your stand out before they hit DELETE! 5) You just “called” …you didn’t research….you don’t have a clue….about them or their company…but they DO about YOU…they know YOU DONT! DELETE! 6) Your product or service, as you presented it….does not interest them! Either you didn’t dp # 5 and you are calling the wrong company / person….or ….you are “couching” your sell in the wrong way….either way you are WASTING YOUR AND THEIR TIME! What do these “sales blunders” cost you? your company?? the prospect??? ….BIG BUCKS…..
Till next time…get out there and SELL SOMETHING! Google Hummingbird and the Keyword…..what you need to know …..
You have probably heard it already…but Google announced at it’s 15th anniversary ( what an amazing 15 years for them ) that it had a new algorithm impacting more than 90 percent of all searches worldwide ( another amazing statistic when you think about it ! ) Google calls is “Hummingbird” …and they have labeled it to be perhaps the “largest change to the algorithm since 2001 ! Hummingbird allows the Google search engine to do its job even BETTER…thru an improvement in “semantic search” …… as conversational search becomes the norm….Hummingbird will actually add understanding to the intent and contextual meaning of terms used…….so many pages not previously found …will suddenly be found. Google’s algorithm will continue to be a complex mix that weighs the relevance of a page …..so if you have been progressing all along with SEO….you are fine. 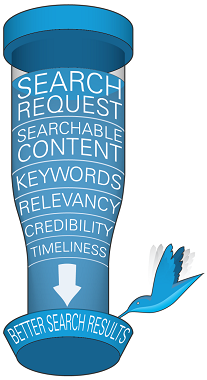 SEO will require a better understanding of your audience….beyond keywords. It will still be about measuring the content…not just the keyword. Now we can measure the value that the pages are generating for you and what types of content are generating you the greatest ROI…isn’t that really what it is all about? After all …even if you have great “content” but it is not driving traffic to your site or creating “engagement”….it is really not doing a good job for you. With a clear understanding of the performance of each page you can better direct your focus and resources going forward. Contact your SMI SEO Sales professional and schedule a time to discuss this further….and make your SEO much more profitable. We will certainly revisit this further in the near future…but for now…I will say only that I wish each and every one of you only the “Happiest of Holidays” the “Merriest of Christmases” and a safe, healthy and prosperous New Year….wishing you all the very best in 2014 and beyond. 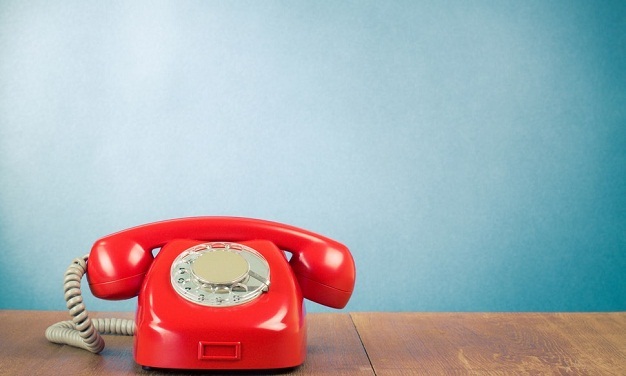 Are you kidding me…someone thinks “face to face” sales calls are obsolete? Not in Euby’s world…And not on this Planet Earth ! changed and continue to change as technology rapidly improves ( or at least quickens ) communications. reading ) as without her credibility that title would have sent me to the next page quickly. digital acquaintances…. Give me the face to face sellers every time. sales between the “tech” and the “touch”…the TOUCH wins by a large margin. and pull back from the streets….. I will be more than happy to send the troops in behind them! ScanLife Trending Shows Mobile Barcode Scans surpassed 16 Million in Q2 ! Wow…that is a BIG number! It appears those that pronounced the “QR Code” era over were a little “pre-mature” with their forecasts! the numbers past the mark of “early adaptor users” and into the “main stream users” arena ! scanning traffic, like the QR Codes, may originate with ScanLife of other third-party apps ! I know you have not seen anything from me for a couple of weeks…and I apologize…just too much “Euby Travel” and not enough hours in the day! I should be back “on track” after this long weekend…..but then……OK..back to the blog…. You have no doubt heard the stories of “FaceBook Posts” coming back to haunt job applicants and cost them the opportunity to secure a position that they really wanted….you have even read about that here last year when I recanted a story from a presenter at one of our PSDA CEO conferences. After reading yet another industry report in Print Pro’s by Lisa Lori, I thought it might be prudent to again remind all of us about the dangers of random posts, and especially those fueled by anger, emotional events or the most dangerous…”intoxicated posts”! Attorneys are having Social Media specialists dig deeper and deeper into clients as well as opponents Social Media posts. They are winning cases by producing evidence that would have previously been un-attainable…but for reasons we have blogged about before…people feel “comfortable” with Social Media…thinking of it as a “cocktail party” where everyone is saying “stuff” that no one will remember in the morning anyway…..but with this type of party..you leave a paper trail! It does not matter if you are an employee or an owner…what the employee posts can impact not only that employee but also that COMPANY! Yes…you can lose your job over an employees post. It happens quite frequently and you need to make sure you have done your due diligence as an employer to protect you and your company…..just as much as the employee needs to stop and think and refrain. You need to consider the following…. Social Media posts can provide lots of information both negative and positive when you are looking for a job or when an employer is looking at you for a job…and they DO look. Don’t post something you will regret ! If you search for a short period of time…you can find “trade secrets” of other companies being bantered back and forth by disgruntled employees and / or ex employees. Don’t leave your company open to this! If you own a company or even manage for a company, make certain you have a “Social Media Policy” and be sure to enforce it. If you do not…you will not be protected. Your company can he held liable for what an employee posts…. be sure you are protected and make certain someone reviews for malicious posts and reports. Go ahead and invest in an experts advise and prepare a “Social Media Policy” for your company or organization. And make sure you have your own “Personal Policy” to avoid future unexpected issues of a personal nature. As the old commercial stated …pay me NOW or pay me LATER…. use the same approach…pay for a little “prevention now” and avoid the higher price of the “cure” later on…….